A while back, when I was thinking of what odd topic I could explore the science of next, a status update had appeared on my Facebook newsfeed. OK, I realise that this is sufficiently vague: many status updates regularly appear on my Facebook newsfeed. This particular one intrigued me as it was about a seal. Now, I bet you’re thinking I thought it mighty weird that it wasn’t about cats or dogs, possibly accompanied by hilarious pictures with endearing captions. And you’d, of course, be right. 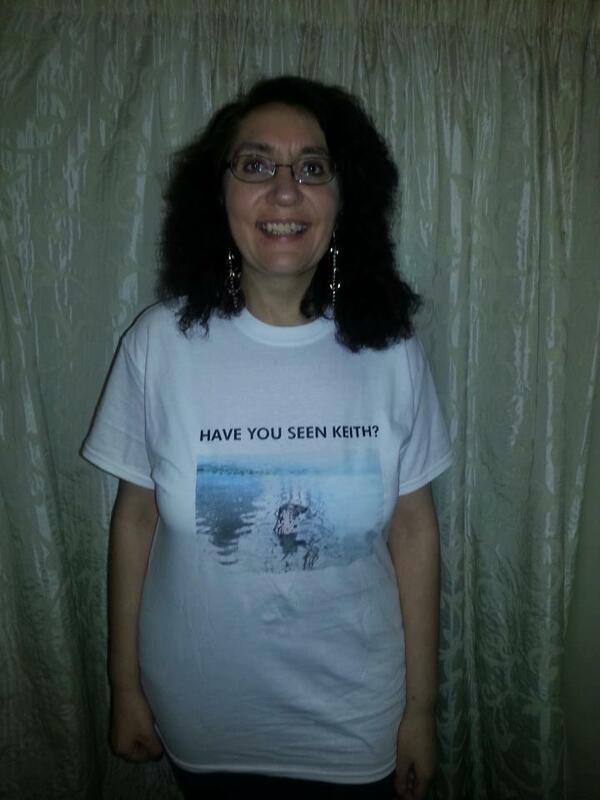 This beaming lady singlehandedly created, and actively bolstered the ranks of, the Facebook group called, ‘Keith the Worcestershire Seal’. I was lucky enough to meet Lisa through Nick (a.k.a. Mr. Nick, a.k.a. check out the older blog posts!) and was instantly wowed by her limitless enthusiasm and energy to do any task she believed in without pausing. 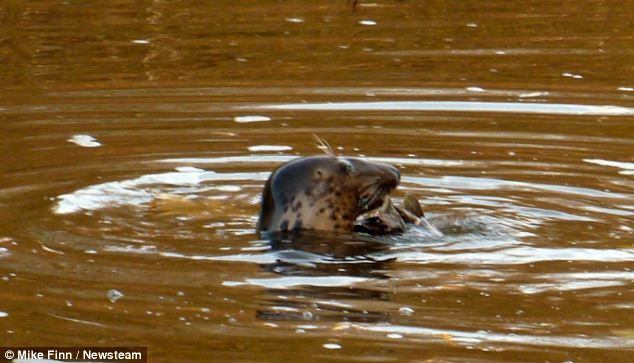 With an impressive track record and expertise of PR, and currently the Director of her own company, Venture, Lisa was undoubtedly the best person to raise awareness of this wandering seal. Liaising with the press pretty much from day one, Lisa has managed to gain media coverage for Keith in several notable publications, including the Daily Mail. As Lisa puts it, “The irony is I’ve never seen her, I would love to though, and she’s really captured my heart”. Thanks to Lisa’s hard work and efforts, Keith has captured more hearts than would have otherwise been possible! And believe me, reading about an animal that amazingly ended up in a river in Worcestershire is a lot more appealing than reading about which celebrity is getting a tattoo next. Sadly, Keith’s story is in danger of having a tragic ending. The downside of having Keith in the River Severn is that, true to her biology, she is eating the native fish there. Personally, I haven’t got the data in front of me to analyse how detrimental her presence is. Actually, I’m doubtful that anyone has really attempted to quantify it. If they have, I would gladly stand to be proven wrong and be able to analyse the data. Regardless, it is apparently enough of an issue for the Angling Trust to complain about Keith eating all of their fish stocks and are now trying to gain a license for a qualified marksman to ‘get rid of’ Keith. This comes because of apparently fruitless attempts to appeal to organisations, such as the Environment Agency, to relocate the animal. So that seems to be the Angling Trust’s ultimatum: either cease the pointless bureaucracy and relocate Keith back to her environment or she will pay the price for making a mistake and ending up somewhere where she shouldn’t be. Makes sense. After all, if any one of us ever makes a wrong turn into a neighbourhood we’re unfamiliar with, the Neighbourhood Watch either gets a permit to forcibly remove us or shoots us. Well, of course that doesn’t happen. I hope it doesn’t, anyway. We realise we’ve made a mistake, ask for help if need be, and then move on as we do. Unfortunately for Keith, she doesn’t speak human (probably put off by what she’s witnessed from some people, to be fair). She needs our help – the help of people with the power to actually protect her and return her to her natural environment. How did Keith even get there? According to the Daily Mail, expert opinion is that she got lost, eventually swimming inland from the Irish Sea via the British Channel. Still, pretty impressive for an animal that has been swimming about purely because she is lost. Of course, Keith’s appearance in Worcestershire may have been due to a pure accident, but the much, much larger picture of animals appearing in places they don’t belong is, much of the time, anything but accidental. I feel a bit mischievous in that I am using Keith’s example to highlight a wider issue: that of animals now ending up in places that they shouldn’t be. Well, the phenomena isn’t even a recent thing: it has been happening for a good, long historical while now. And the unequivocal, leading cause? Humans. Our direct interference with nature causes animals to end up in places they don’t belong. And then we complain about it. Makes sense…not. I end this post appealing for Keith’s safety and wellbeing. Of course, I agree she should be relocated. But not for the whinging of a group of people who hunt fish for sport and then have the audacity to complain that they are being threatened by a majestic animal who hunts them for sustenance. She should be relocated because it is her right as an animal who accidentally took a wrong turn (a bit like Bugs Bunny taking that left at Albuquerque) and is just trying to get by. I staunchly believe that we have a duty to protect animals, not just from the mistakes they may make that can have impacts like this (which, actually, are relatively few and far between), but from us and the dangers we subject them to. To Keith, and the other animals out there: we are terribly sorry that there are those of us out there without the common sense to treat you like you deserve, instead of trying to lord our superiority over you as ‘lesser beings’. We hope you realise that there are those of us with an actual conscience trying to do something about it all! I sincerely wish Lisa, and the rest of the Keith fanclub, the best of luck in securing the safety and relocation of this beloved sea dweller. ~ by tazjagdev on January 18, 2013. “what if God were one of us. Just a stranger on a bus…. Trying to find his way Home..”. Keith is far from home too! She deserves our empathy and help not hostility and violence!